Today is the day! Time to launch 2018’s 100+ Women of IAVM Campaign! – specifically created for women by women. Behind every great woman is a strong Foundation and this is my chance to say thank you once again for being one of the 108- 2017 donors. You made it all possible! Please take a moment today and be among the first to support our new campaign for 2018. 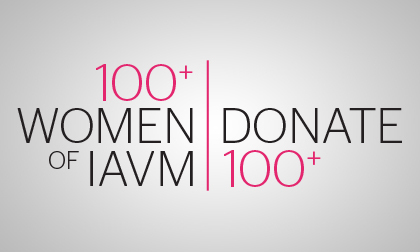 I’d like to encourage you to join this elite group by visiting the 100 Women of IAVM fundraising page to make your donation. Your investment in 100+ Women of IAVM has the potential to change the lives of the women in our industry. Each scholarship recipient will not only be able to attend one of our education packed events to further grow in their field, but also network with the great leaders in the industry as well. Remember, the idea is simple – 100 Women each giving $100 means $10,000 each year! By paying it forward and giving $100 each, we can provide five (5) women a full scholarship to VenueConnect, as well as one (1) to AVSS for both years. I’m proud to be part of this amazing group of 108 donors and hope to see you join me again this year. Thank you for your support! Kerry Painter, CEM, CFE, is assistant general manager of the BOK Center in Tulsa, Oklahoma.